Casey Smartt is a photographer based out of New Braunfels, TX. He was born and raised in Austin, TX and holds a B.S. in Aquatic Biology from Southwest Texas State University. Casey has had careers as an environmental technician for the steel and construction industry and as an agriculture consultant specializing in large-scale composting and sustainable farming. He was the fly fishing editor for Texas Saltwater Fishing Magazine for 10 years and his love of the outdoors led him to wildlife photography, and most recently, camera trap photography. My interest in camera traps began years ago when I stretched a trip wire across a game trail and rigged it to a compact Nikon 35mm camera. The experiment was a failure. Wild boar and cattle knocked down the wire and camera and stomped it into the mud. But the exercise sparked my interest in camera traps and fuelled my imagination for what might be possible with a better rig. 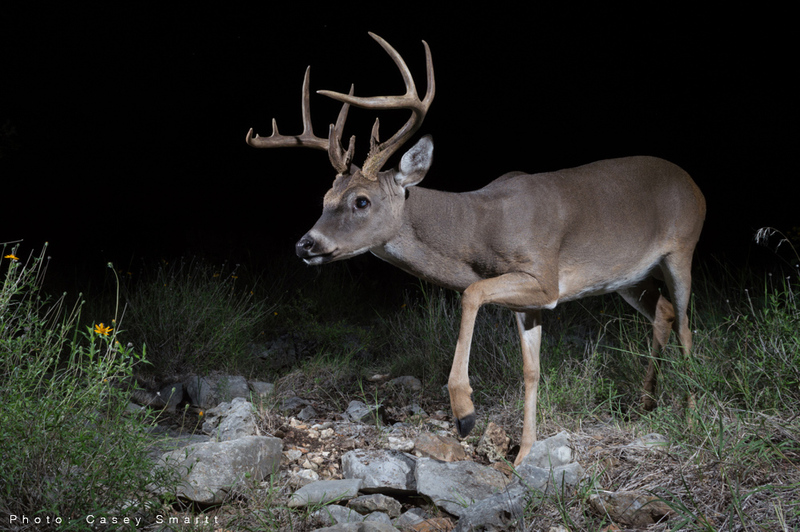 Several years later, commercial trail cameras began to hit the market. 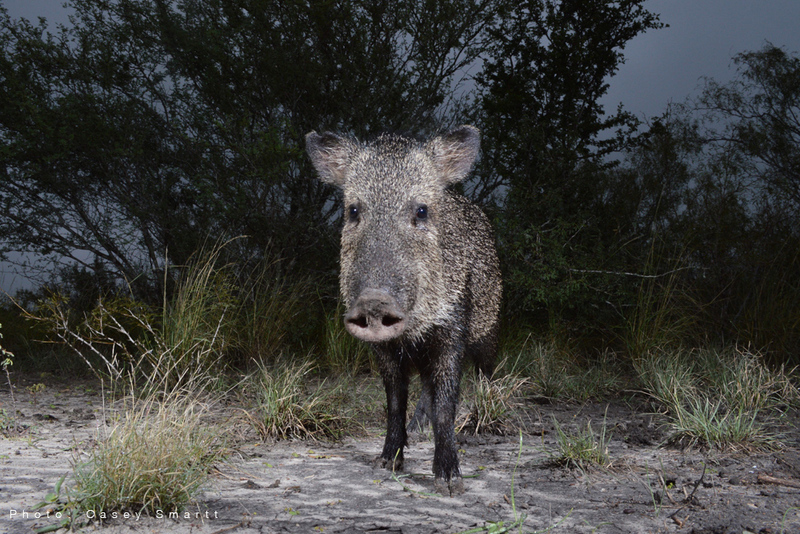 I eagerly bought one, and another, and another, and used them to capture images of whitetail deer, coyotes, javelinas, and other critters that wandered around the South Texas Brush Country. Those years were a great experience because I learned how animals approached my cameras, when they were most active, and how to attract them. Then, I saw some images Jonny Armstrong (read his interview here) captured with one of his DSLR camera traps. The photos were unlike any wildlife photos I had ever seen – clear and intimate with incredible creative lighting. They looked like scenes from an animal museum exhibit and I knew the DSLR camera trap was the direction to I wanted to go. 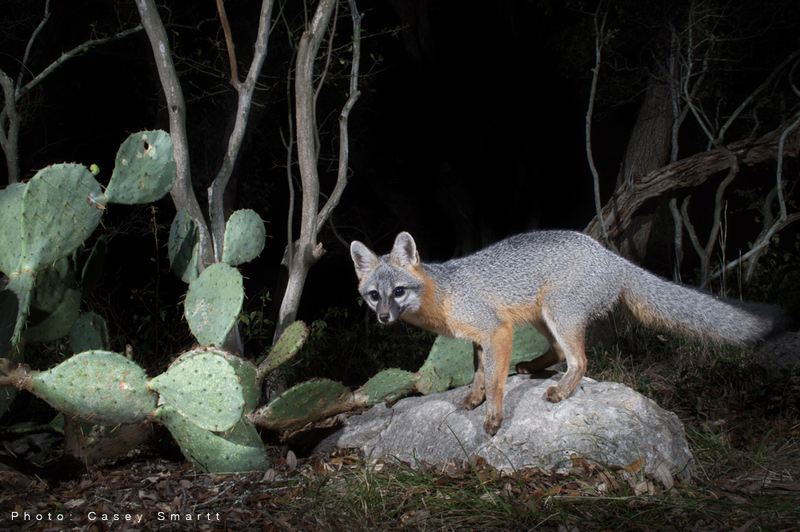 I think one obvious advantage of a DSLR camera trap is its ability to capture intimate, close-up portraits of cautious or secretive wildlife species, especially those that move or feed at night. One key to its success is the option to use off-camera flashes. They open up a whole world of creative opportunity. A perfect example of the potential of these cameras was illustrated to me by the ringtail cat. 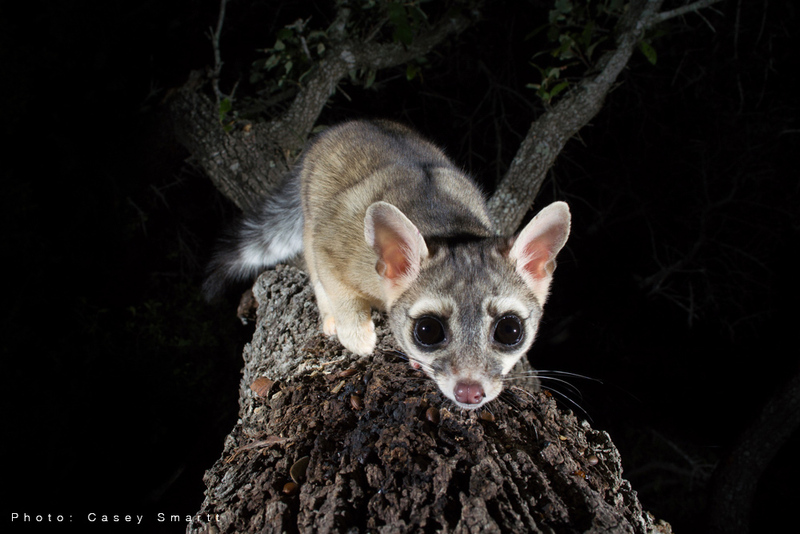 The curious little ringtail cat thrives in the Hill Country of Texas where I live and in many other parts of the United States. It’s a squirrel-sized critter that loves to climb and will investigate nearly anything it sees or smells. I had always heard ringtails were common in my region but in 4 decades spent outdoors I had only seen one, and he was caught ambitiously trying to steal chickens. When I began running DSLR camera traps on a ranch near my home, I placed the cameras up in the canopy of large oak trees. To my surprise I collected many photos of ringtails sneaking around the branches. The resolution of these images were astounding. I could see very minute details in the whiskers, ears and feet and I began to understand more about not only what ringtails looked like, but how they behaved. I never would have guessed the woods were so alive with ringtails. It was fascinating to me to learn how secretive and elusive a relatively common animal can be, and quite rewarding to capture an image of it in its natural environment. With traditional photography, you generally have an opportunity to react and respond to subjects, lighting shifts, and equipment hiccups. But camera trap photography requires you to make all those decisions in advance. You are setting the camera to capture an event you predict will occur in the future at a specific time and place. Once a location is chosen and the equipment is positioned, the focal point, exposure and flash settings are manually selected to capture an image you hope will happen. Within that equation there is a lot of potential for error. You can choose the wrong exposure settings or focal point and essentially waste days or weeks of work and travel. Curious or destructive animals can knock over your equipment or rub mud on the lens. Weather can fog up housings and phantom shadows can cause false camera triggers that fill up memory cards and drain batteries. 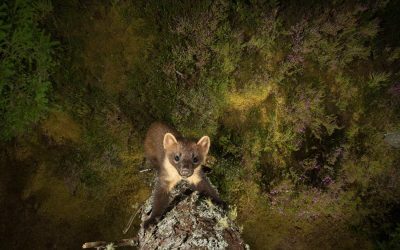 All these things could be corrected or avoided with standard methods of photography but they are deal-breakers for camera trap photographers. "With traditional photography, you generally have an opportunity to react and respond to subjects, lighting shifts, and equipment hiccups. But camera trap photography requires you to make all those decisions in advance." From a technical perspective, I continue to be challenged by lighting. 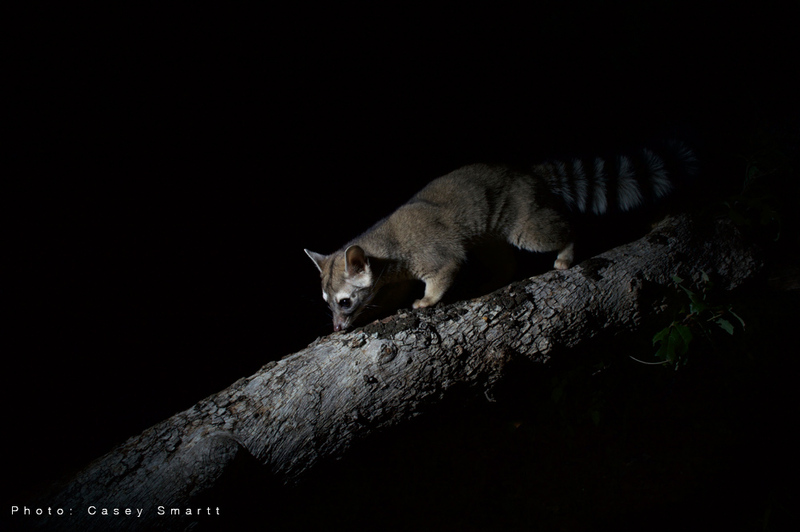 Creative lighting is so important in producing great camera trap images and it can be really tricky to pull off. Essentially you are erecting a studio in the woods, and because none of the lighting is TTL, creating the desired effect requires a lot of trial and error. Each location is different and the flash settings are based on past experience and intuition. A bit of luck always helps too! I use almost exclusively wireless flash triggers because rodents and livestock tend to tear up exposed flash cables where I run my cameras.The great thing about wireless flash triggers is that they are convenient to set up and there are no wires stretched over the ground or between tree branches. The downside is that a “sacrificial” photo is required to wake up a flash from sleep mode and sometimes that single black shot is the only one you get. I try to keep my equipment as simple as possible, so long as it allows me the flexibility to get the shot I am looking for. My basic rig is a DSLR camera body wired to a motion sensor and housed in a modified Pelican box. The camera body is firmly nestled in foam within the box with no mechanical connecters. This mounting style dampens most of the shutter click sound. The housings are outfitted with 1.5” Ram ball/socket mounts. The Ram mounts are very strong and allow the housing to be easily articulated and locked in virtually any position. I use Nikon SB-28 or SB-80DX flashes on my sets. Both are good flashes for camera trapping. Sometimes a set may only have 1 flash, other times 2 or more running on wireless radio triggers. It really depends on what type of lighting effect I want to achieve in the image. My flash housings are built from 3” PVC sewer pipe. The housings are simple, weatherproof and tough, and I can access the flash quickly to change batteries or settings. I suppose I rate success by how much enjoyment and enlightenment my images bring to those who see them. Based on that, my most successful projects have been those capturing images of whitetail deer. Deer photos are nothing new. They’ve been photographed into oblivion. My goal in photographing whitetails is to reveal something unique or intimate about this relatively common creature. When someone sees one of my photos of a whitetail and says, “Wow… look at his eyes,” I consider it a success. 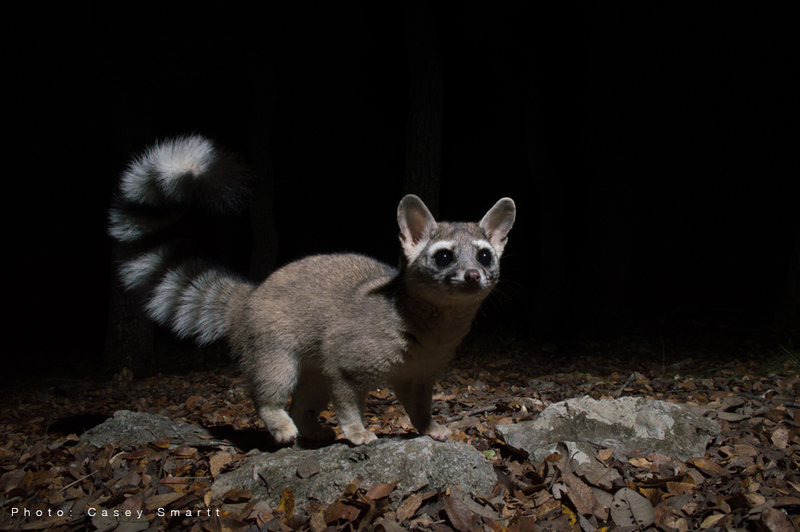 From a personal perspective, the work I have done on ringtail cats has brought me the most satisfaction and sense of “success.” This is simply because I’ve been near this secretive animal my whole life but have rarely seen them. I’ve had plenty of failures- sloppy focus… forgot to turn on a flash… accidentally deleted photos… all those things. But I try to learn a little from each one and accept there are going to be some bumps along the way, I suppose my biggest failure (actually more of a disappointment), was when I returned to a set that had been capturing some really beautiful whitetail shots and found the tree cut down and my camera equipment gone. The feeling I had in the pit of my stomach was far worse than any time I’ve forgotten to turn on a flash or inadvertently deleted a photo. It was such a tremendous let down. It was a financial loss, but more importantly an abrupt and ugly end to something that had gone so well and provided so much enjoyment. I think DSLR camera trap photography will experience some small growth as an enthusiast-driven style of photography. 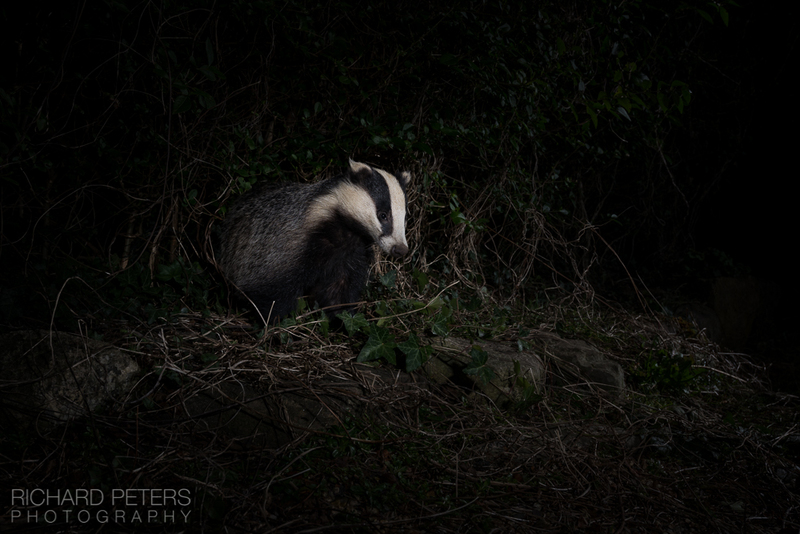 And I am looking forward to seeing images that new creative photographers are able to capture with camera traps. Certainly, new niche-market items will become available that solve some of the inherent challenges of piggy backing DSLR components together. 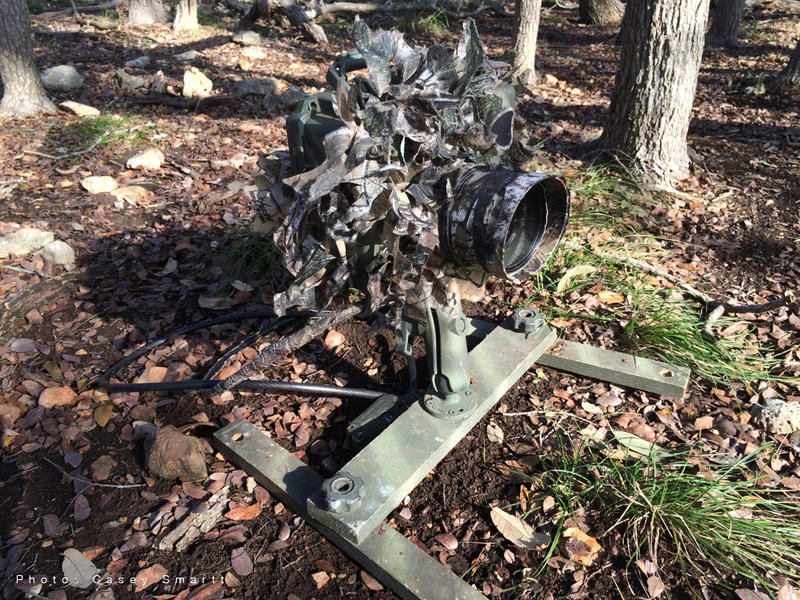 Jeff Dale of TRLcam has done some pioneering work with all kinds of camera systems and he makes some very interesting high-end products for camera traps and time lapse photography. Certainly his products show what is possible. I see remote photography as an area that could experience substantial growth. As smartphones, tablets, and camera systems are further integrated, some very interesting possibilities exist for live control of high resolution cameras and image sharing across cellular networks.